What do you cook in your waffle iron? If your answer is just “waffles,” you’re not making the most of this seemingly single-function device. Mac ‘n cheese is delicious all on its own, but your waffle iron can elevate it to the kind of crispy-edged, gooey-centered delicacy that people write songs about. 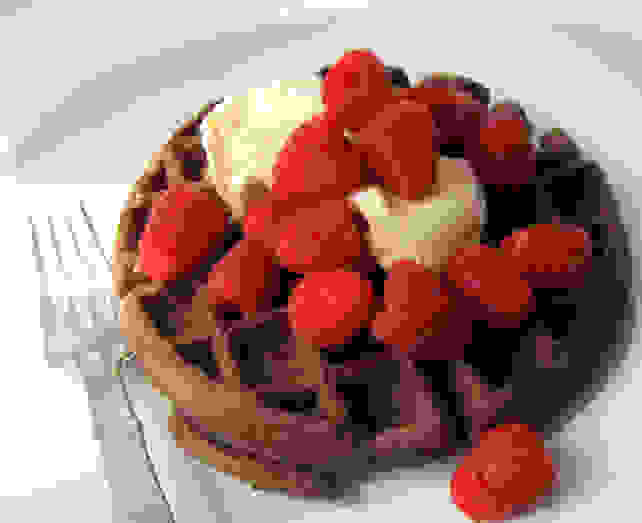 Cake already has an enormous fan base, but its waffle form is quicker to bake and individually sized. The mighty waffle iron can reheat, caramelize, or bring together a new dish. It’s easy to use and always forms ideal pockets for collecting syrup or sauce. All hail! 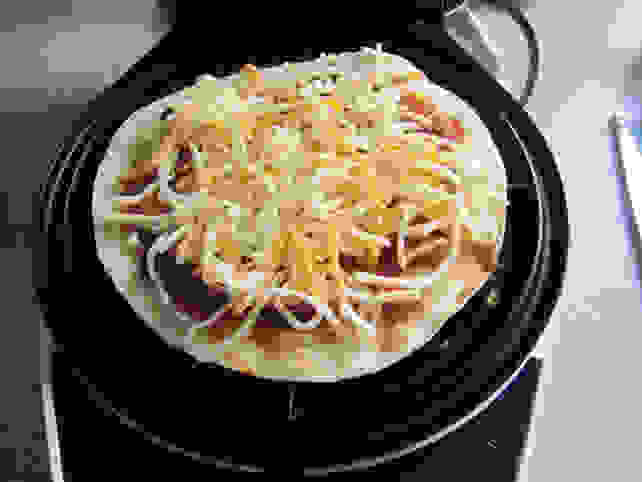 Here are eight delicious dishes you didn’t know you could make in your waffle iron. Now go forth and waffle! Pizza waffles are the perfect snack. 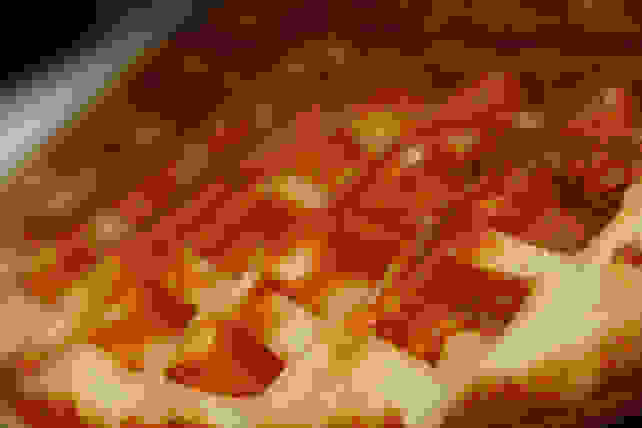 Pizza and waffles are foods so universally adored that we have to imagine a combination of the two is on track to become the next great food mashup. Pizza bagels, watch your backs! And don’t even get us started on cronuts—we’d take a pizza waffle over a cronut any day. 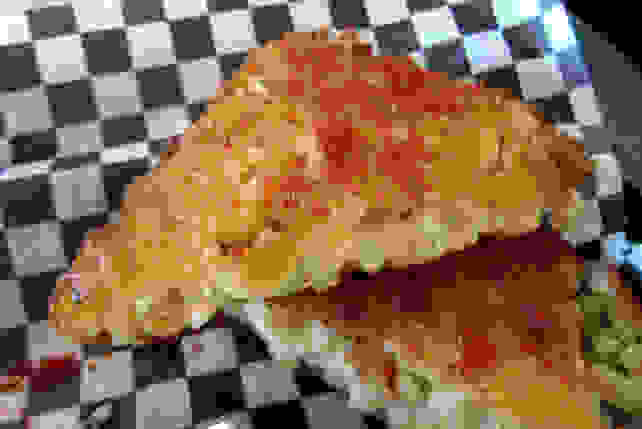 Luxirare takes a calzone-like approach to the dish, waffling pizza toppings between two layers of dough and winning our hearts in the process. If reheating a slice of leftover pizza is more your thing, Serious Eats knows how to do it right—folded, then cooked in your waffle iron until the cheese oozes out and burns just the right amount. Who needs a panini press when you've got a waffle iron? 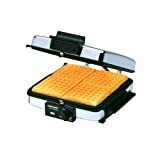 No panini maker? 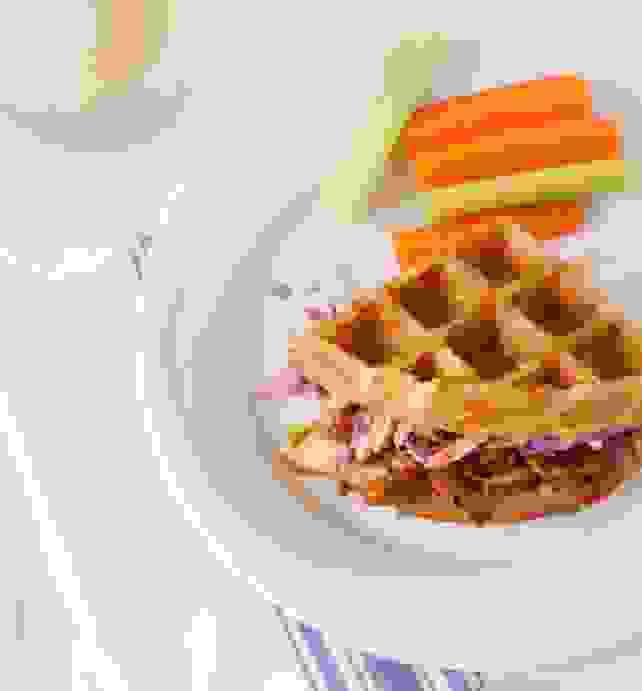 A waffle iron can toast your sandwich just as well, so long as you don’t mind grid-shaped nooks and crannies imprinted on your bread. We sure don’t! In fact, we’re pretty sure we want to eat one of these every day. Yummy Healthy Easy has the lowdown on making this simple, tasty meal. Waffled Mac and Cheese makes for crispy edges and gooey centers. This one comes to us from Serious Eats’ Kenji López-Alt, and it’s a doozy. Everyone knows that true mac and cheese should have an oven-browned top layer, but the waffle iron crisps the dish on all sides, rather than just on top. Kenji sandwiched shredded cheddar between two slabs of mac and cheese before cooking it in the iron, thus ensuring a gooey, cheesy center. It’s everything we’ve ever dreamed of and more. Leftover mashed potatoes are elevated to greatness by a brief stint in the waffle iron. Mashed potatoes are delicious, but leftovers just don’t hold up well in the fridge. Reheated, they never seem to hold onto that ideal, slightly fluffy texture. So what should one do with leftover mashed potatoes? Joy the Baker has found a solution to this particular problem, and boy does it look scrumptious. Mixed with a few extras like eggs, dairy, flour, and seasoning, your leftovers will emerge all lovely and golden from the waffle iron. As a bonus, the waffle shape is perfect for collecting flavorful pools of gravy or cheese. This Korean dish can be made in waffle form, complete with all that nice, crunchy rice. 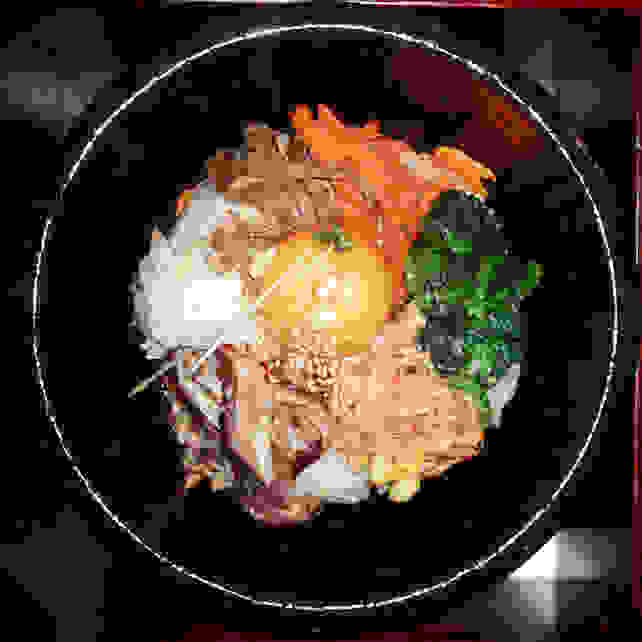 When we get a hankering for bibimbap, the popular Korean dish of rice, sautéed veggies, egg, meat, chili paste, and soy sauce, you’ll find us at the nearest Korean restaurant. 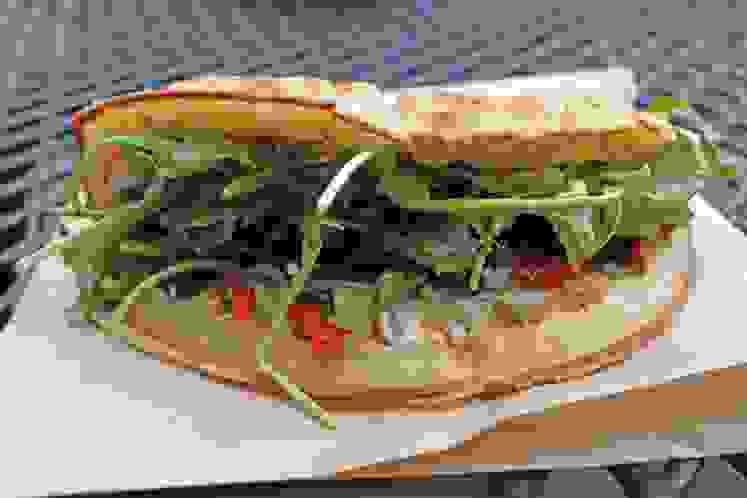 It’s time-consuming to prepare, plus our kitchens lack the hot stone bowl it’s often served in, which serves to nicely toast the bottom layer of rice. Luckily, the Food Network Kitchen has come up with a creative alternative to the traditional cooking method, one that shortens the prep time and toasts the rice perfectly sans stone bowl. We don’t want to give away the secret to this recipe’s success, but it rhymes with "schmaffle iron." Hash browns are easy to make in your trusty waffle iron! 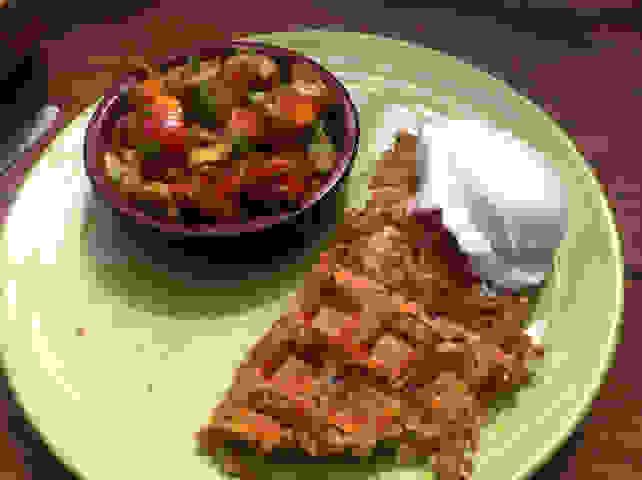 Food Republic shares Will It Waffle author Daniel Shumski’s recipe for waffled hash browns, and it’s pretty darn appealing. We think it might be easier than the stovetop version, not to mention healthier and crispier. The only downside? If you want to serve the hashbrowns alongside normal waffles, you might need to invest in a second waffle iron. Cake batter + waffle iron = bliss. Ready for something sweet? Cake batter waffles should hit the spot. Buns In My Oven provides a recipe for Funfetti Cake Waffles that’s as simple as pouring cake mix into your waffle iron, while Not Your Momma’s Cookie has a recipe for Red Velvet Waffles with Cream Cheese Glaze made entirely from scratch. Either way, we can’t think of a better way to eat cake for breakfast. 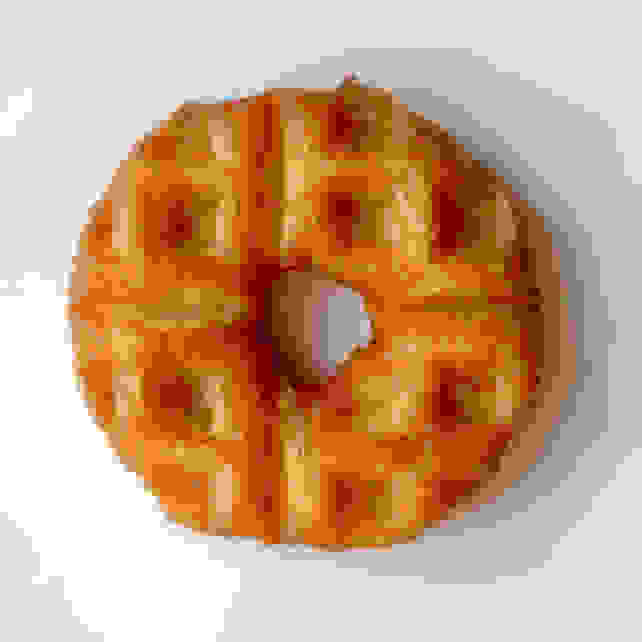 Waffled doughnuts are easy and tasty. When I Am a Food Blog recommends sticking a glazed doughnut in a waffle iron, we’re inclined to listen. Why? Because the heat of the waffle iron caramelizes the sugar glaze. It’s that simple. The recipe calls for “glazed donuts, as many as needed.” We think we'll be needing quite a few of these.